We’ve seen some amazing birds lately – goldfinches, orioles, and doves to name a few. Each time, my son (who is constantly in motion and lips are always moving) has frozen in awe. So I knew when I happened upon Frank Mazzola, Jr.’s wonderful book “Counting is for the Birds” at the library, it was a must read. This book has everything I love about children’s books rolled into one: Educational? Check. Rhymes? Check. Beautiful illustrations? Check. Naturally I headed straight for the “check out” counter with this treasure in hand. When I read it to my son, he loved it just as much as I did. I know this because when we were finished, he asked if we could keep it. Banking on Mazzola’s book sparking my son’s interest, I had made a printable field guide for my son to color. The pages contain generic looking birds that my son could color to mimic the foul we see in our area. I pulled out a bird guide book from the library and asked him to tell me about some of the birds he remembered. He rattled off descriptions of a robin, cardinal, blue jay, etc. 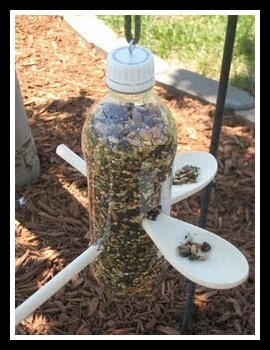 Next we transformed an empty soda bottle into a backyard bird feeder with instructions from GreenKidsCrafts.com. 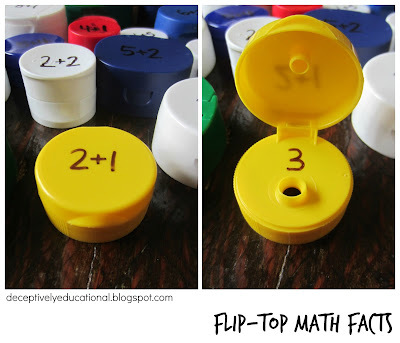 Visit their website for complete instructions. While I did the cutting on the bottle, my son screwed in the eye hook and added the wooden spoons (purchased at a dollar store) where the birds can perch. We filled it up and hung it under a tree in our backyard. Now the only thing left to do is wait for the birds … oh, and add any new visitors to my son’s bird book of course! I love having birds around the house and seeing all the different ones that are out here in Utah. I am adding this to my list of things to do. Again you took a fun activity and turned it into a wonderful learning experience. Thanks for linking up to The Sunday SHowcase!